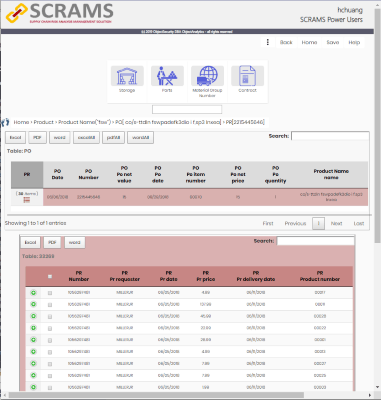 Supply Chain Risk Analytics & Management System (SCRAMS) helps you make sense of the supply chain information you already have, but which you cannot effectively analyze for supply chain risks. 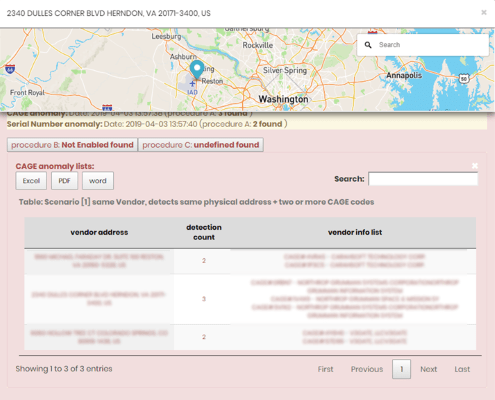 We ingest your procurement data, incl. 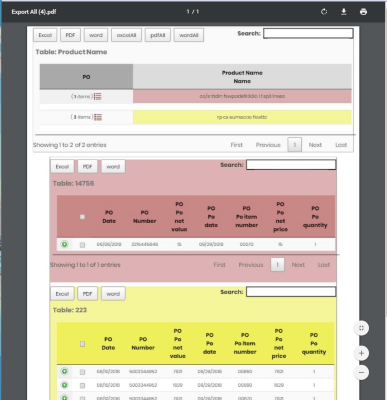 Navy ERP and SAP, into a graph database, and make it easily searchable for supply chain analysts, contract officers etc. We also run automated analytics, such as price anomalies indicating counterfeit or refurbished parts. 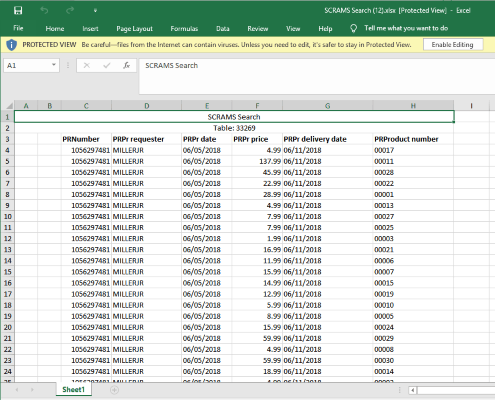 Ingest information from your ERP and other sources into SCRAMS and let SCRAMS intelligently “connect the dots”. 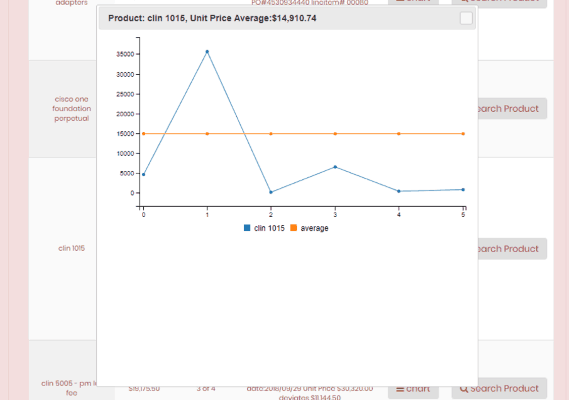 Once done, you can run smart searches across the analyzed data, and run automated analytics. 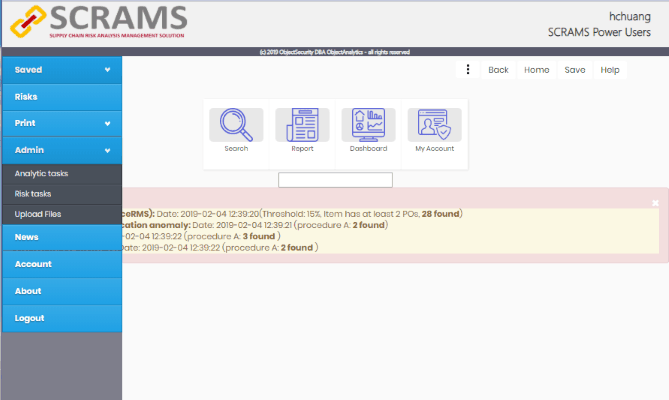 You can also generate actionable reports. 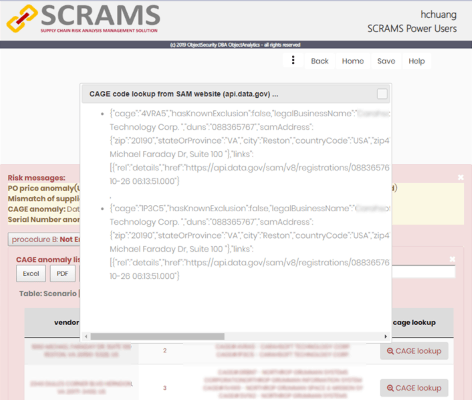 SCRAMS has a different focus compared to conventional supply chain risk analysis solutions: It looks for malicious intent as well as accidental/QA issues, surfacing whether supplied items and assemblies of items pose a risks to safety, security and assurance. SCRAMS draws on big data analytics, semantic information modeling, artificial intelligence, natural language processing, cybersecurity, we are able to provide a solution that saves you time and hassle. Release scheduled Q3/2019. Contact us to discuss a pilot for your organization. There may be some upfront cost for new customers because SAP (and other ERP) data is not 100% uniform across organizations. ObjectSecurity’s in-house data ingestion service leverages automation to keep cost low, because of the amount and complexity of the imported information.